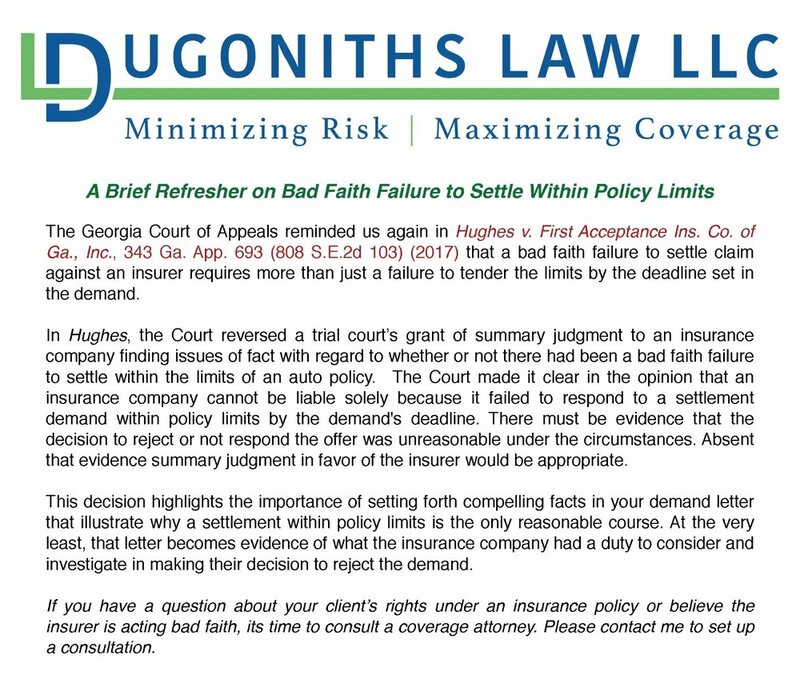 Laurie Dugoniths Busbee to speak before the Georgia Bar on March 19, 2019 on "Insurance Coverage: Pitfalls and Possibilities." Laurie Dugoniths presents before the State Bar of Georgia on Insurance Coverage Issues during their annual Business Litigation CLE on March 20, 2018. Proud to be selected by her peers as a Super Lawyer for the past 9 years, an honor bestowed on only 5% of the lawyers in each state.